WUHAN -- A joint venture between PSA/Peugeot-Citroen SA and Dongfeng Motor Corp. began construction of its third assembly plant in the central China city of Wuhan last week. Dongfeng Peugeot Citroen Automobile Co., a 50-50 joint venture, will build the plant in two phases. In September 2013, it will begin production with an annual capacity of 150,000 vehicles. By 2015, plant capacity will total 300,000 units, PSA said in a statement. The partnership currently has two plants in Wuhan with a combined annual capacity of 450,000 vehicles. The new plant will raise the joint venture's total capacity to 750,000 vehicles in 2015, said Gregoire Olivier, chief of the French automaker's Asia operations. The new plant will produce vehicles based on PSA's platform 1. It will include stamping, paint and final assembly lines, along with auxiliary suppliers, administrative and warehousing facilities. 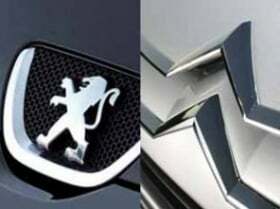 Dongfeng Peugeot Citroen, established in 1992, builds the Peugeot-badged 307, 207 and 408 cars as well as Citroen-branded C4 Quatre, Elysee, C5, C2 and C-Triomphe cars at its two plants in Wuhan. Last year, Dongfeng Peugeot Citroen sold 373,400 vehicles in China, grabbing a 3.2-percent share of China's passenger vehicle sales. After the third plant starts full operation in 2015, the joint venture expects to increase its market share to 5 percent. To expand more quickly in China, PSA established a second joint venture with China Changan Automobile Group Co. in July 2010. The 50-50 partnership is headquartered in the south China city of Shenzhen. The new venture will build upscale passenger cars such as the sporty Citroen DS line-up, in addition to light commercial vehicles for the Peugeot and Citroen brands. It will launch its first model in the second half of 2012.